So, what is disaster management? Well, according to the International Association of Red Cross and Red Crescent Societies (IFRC), disaster management can be defined as – the organization and management of resources and responsibilities for dealing with all humanitarian aspects of emergencies. In particular, preparedness, response, and recovery in order to lessen the impact of the disasters as much as possible. There is no country that is immune from disasters. There are only varying levels of vulnerability to these catastrophes. Natural Disasters: These include earthquakes, floods, hurricanes, tornadoes, volcano eruptions, etc. These have immediate impacts on human health and secondary impacts, such as landslides and fires, which can cause further deaths and suffering. Environmental Disasters: These mostly comprise of technological and industrial accidents, usually involving the production, use of transportation of hazardous materials. Examples include Oil Spills and Forest Fires caused by humans. Pandemic Disasters: Involves a sudden spread of a contagious disease that strongly affects health and disrupts ongoing services and businesses. This tends to bring a lot of economic and social costs. Examples include Dengue spread and SARS outbreak. Complex Disasters: Involves a breakdown of authority, looting, and attacks on strategic installations. Examples include war and coup. Any of these disasters/emergencies can interrupt essential services such as water provision, transportation, communications, etc. With these sudden interruptions, there will be major consequences to the health, economic and social network of the local community and affected neighbouring countries. These disasters have a long-lasting impact on people’s lives long after the immediate impact has been mitigated. Thus, poorly planned relief activities can have a strong negative impact on these disaster victims (not to mention the relief agencies). In recent years, the frequency and magnitude of natural disasters has been increasing. These disasters tend to have all sorts of negative implications for sustainable development through environmental, social and economic impacts. Therefore, it is imperative to develop sophisticated and effective tools for disaster management. It is true not all disasters can be prevented (particularly natural disasters), but the risks involving the loss of life can be significantly reduced with properly planned evacuation routes and plans. The Satellite Imagery and GIS maps can give emergency and disaster response officials a wealth of information for assessment and analysis of natural disasters. 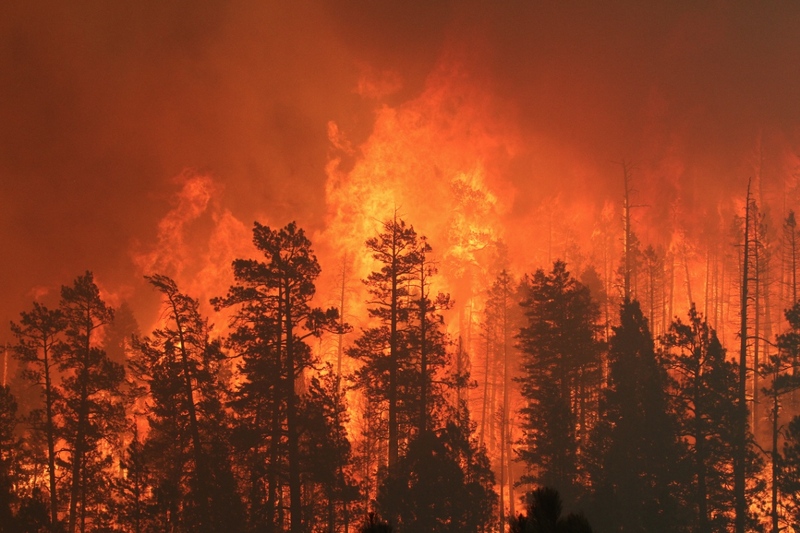 High resolution, spatial and temporal, satellite imagery applications such as flood monitoring and forest fire detection, offer an effective response if the actual disaster were to strike. Natural disasters usually occur with little to no warning, often result in the loss of human life, and incur extensive damage to property and the local economy. The biggest challenge faced by governments and experts so far has been – devising an effective contingency plan. Estimates of the particular land cover classes that may be affected by a natural disaster can enable planners to better assess their particular region’s risk and vulnerability. This critical insight will equip operators and planners with the appropriate knowledge to prioritize target mitigation and preparedness activities for specific areas. Like what India is planning to do! Don’t worry we’ll come to that soon. Human rescue operations are, by far, the most critical and challenging issues in contingency planning. In such a complicated and dynamic scenario, even minutes matter. The first people to respond to a disaster are, in fact, those living in the local community. With accurate insights, these people can be better equipped and can strengthen their capacities to resist these disasters. Using GIS technology and its spatial analysis capabilities, it is possible to design highly accurate interactive simulation systems that promote a more comprehensive understanding of various disasters, their outcomes and the damage they can inflict on a given area. GIS techniques act as a decision support tool as, ultimately, all disasters are spatial in nature. With the help of the different GIS layers, decision making can be made possible. This can then help to effectively plan emergency response actions which can then be internally evaluated. Geospatial information is essential for an effective and quick response to emergency situations. Remote sensing technology has become ubiquitous in disaster preparedness, response, and recovery missions. Here are some capabilities, which are included in the GIS database, that can really be beneficial in emergency situations. Prevention – GIS is used in managing the huge levels of data required for vulnerability and hazard assessment of the area. Preparedness – It is a very useful tool for meticulously planning evacuation routes, and designing centers for emergency operations in certain parts of the city where suitable and required. Relief – GIS, combined with GPS, can prove very useful in the search and rescue operations. This can help to improve efficiency in this critical window as every minute is so valuable that it could make a difference in life and death. Rehabilitation – GIS can be used again, to help organize the damage information and create a valuable database for future usage. The post-disaster census information and the evaluation of sites for reconstruction can be centralized and efficiently managed. If you’re interested in learning more about how multisource satellite data and image analysis can be used in the domain of disaster and crisis-management support, please click here. 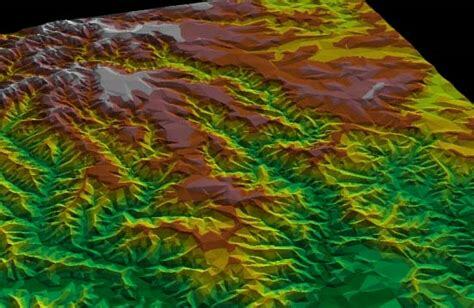 The use of a Digital Elevation Model (DEM) is a crucial aspect of any important geo-environmental study. These models serve as the base for thematic applications, as well as the base for the production of a great variety of maps. All the layers involved are included in a GIS database of the given region. For more information on how DEM can be used in disaster planning, please click here. Disaster mapping is exactly what it sounds like. It is the drawing of areas that have been disturbed through excessive damage, occurring either naturally or due to manmade troubles, resulting in the loss of life, property, and infrastructures. Disaster mapping generally shows risk zones as well as disaster impact zones. With the help of remote sensing devices such as satellite images and aerial photographs, it is easy to define the area affected by the disruption. As compared to manual maps, which are very tedious and inefficient, remote sensing is very effective as these maps can be prepared, digitised and then stored on computers using tailormade GIS software. India’s large size and diversity makes it one of the most disaster-prone countries in Asia. The northern mountainous areas suffer from landslides and are prone to floods while the southern coastal areas suffer from cyclones. Every year, these natural calamities result in the loss of many lives, disrupt important services and damage local property. Thankfully, the National Disaster Management Agency has announced its plans to build a national disaster database in the next 2 years. This will provide relief agencies and governments the adequate information required to better prepare areas for natural disasters. With the help of this database, officials will be able to understand the impact of disasters in particular areas and then be able to take the necessary precautions required to limit these losses. Today, due to major scientific advancements, it has become easier to carry out these operations efficiently. GIS-based studies, such as Digital Elevation Models (DEM), and simulations have been made to understand disaster occurrences with regard to specific locations. Advanced and highly sophisticated techniques like remote sensing and GIS-based capabilities help in a multitude of ways – zoning areas according to risk magnitudes, simulating disaster damage scenarios, etc. The applications extend to its very core. There are many applications of remote sensing, if you’re interested in learning more about what it is and its role in different fields, please click here. Great article. Will Skymap be involved in the India disater management database update? Great article. I feel having a solid DEM will be critical in India disaster planning, especially for flooding. How is Skymap participating in India’s disaster management database? Hi Joe, thanks for enquiring! Are you taking about LIDAR data processing as a solid DEM? a DEM of as high as 1-meter resolution. We are well equipped with high-resolution DEM creation projects for faster processing. We currently do not have any participation in this database, however, we have successfully done a project for the Water Resource Department of Bihar. We have created 0.5m DEM and contour for them using super view stereo data. Please revert to me, if you have any more queries. I would love to advise. Thanks again for your question!